Here on Wealthy Web Writer, each month Managing Editor Heather Robson creates a new Practice Assignment to give you the chance to fine-tune your skills. You can also submit your work to be in the running to receive a review during live webinar. If you want to participate in future assignments, just go to the website and search for “Practice Assignment” to find the current one. This is a write-up of Heather’s critiques of practice landing pages. The entire webinar is HERE if you want to watch it. 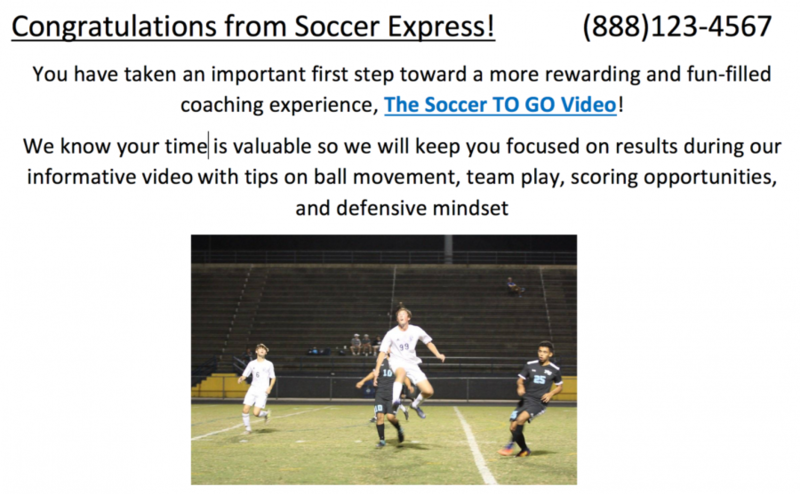 The assignment was to write landing page copy for a company called Soccer Express, which sells support materials to soccer coaches. (You can refer to the original assignment here.) Heather chose five submissions to review. For each one, she pointed out its strengths, and talked briefly about what could be stronger. It’s a valuable and insightful tutorial on how to write landing pages that get results. Heather noted that this first submission included a lot of good elements, then stepped through each part of the landing page. “This signals to the reader, ‘okay, I clicked that ad and I’m getting exactly what I expected.’ You want the visual cue to be immediate, so they feel like they’re in the right place,” Heather explained. Including the phone number is good, as it builds trust and credibility. Heather noted that this submission was off brief by including a link to the video since the client wants the reader to sign up first, to capture their name and email address, before making the video available. Heather pointed out that the description of the video pulls language from the brief, which is good, but suggested digging a little deeper into that language. The writer could have provided more specifics or dug into the audience’s language a bit more. For example, using the phrase “ball movement,” the writer could have taken the broader concept and teased it into something more specific. 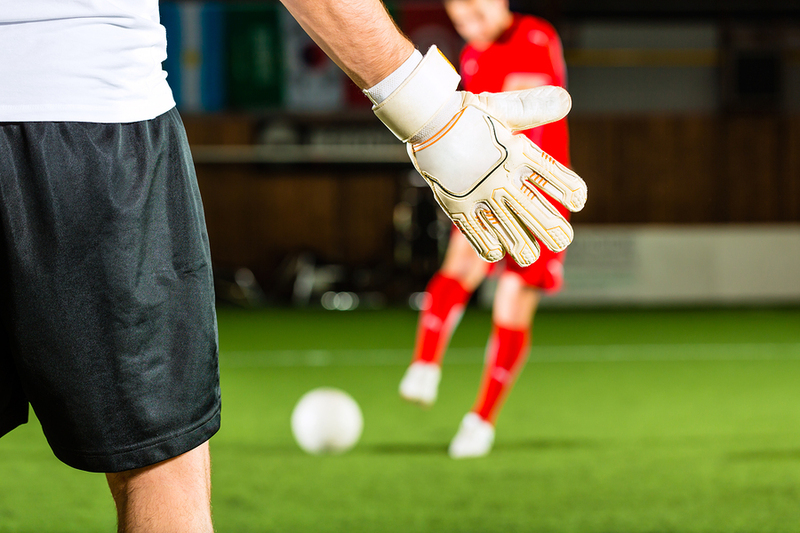 Heather suggested, “tips on ball movement including two easy-to-learn moves that will have your strikers laughing past the defensive line” as an example. That would generate more curiosity (“what are the two moves?”), provide more color, and add specificity and urgency. Heather noted that the language at the top of the opt-in comes from the brief, “but the structure here brings it off brief a little bit.” The brief only promises access to the video, plus email tips if they sign up. Heather liked that the bullets were little soccer balls, and noted the writer’s good instincts in providing that little extra detail, commenting that clients will usually notice touches like that. All the right elements are included in the sign-up form, but Heather found the use of the arrow a bit confusing. Is the arrow supposed to point to a button? Is it supposed to be the button? “Generally I wouldn’t use an arrow as a button because it looks like it’s pointing away from itself,” Heather added. In case there was a button that got lost in formatting the document, Heather recommended submitting to the client both a Word and a PDF document. The PDF will look better than the Word document, but the client can edit Word directly, so give them both. Heather liked the inclusion of, “recognized by U.S. 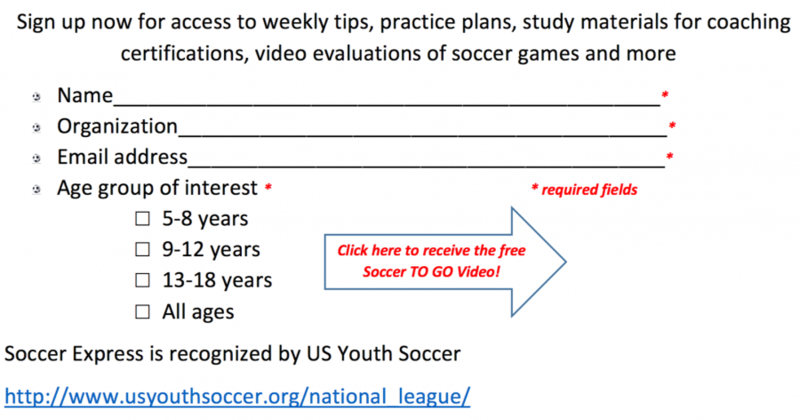 Youth Soccer.” “It’s good to look into what kinds of credentials the client has and bring them into the landing page,” she commented. But, she added, don’t include the link. Since this is a landing page, remove all distractions and don’t send the reader to someone else’s site. Heather liked the guarantee, which builds credibility. But when you’re including an email address, she noted, you should always mask it with a text link. This cuts down on scraping and spam emails for the client. Even better would be a contact form.